Research by NASA has shown a global temperature increase of around one degree Fahrenheit each decade causing temperatures to rise at a rate faster than ever before. This is caused in part by the increasing levels of carbon dioxide, mainly caused by greenhouse gasses, methane, and deforestation. These increasing emissions trap heat in the Earth’s atmosphere, which makes the overall global temperature rise. According to National Geographic’s research, the temperature rising has many negative effects on the environment such as shifting wildlife habitats and populations, rising sea levels, drastic changes in precipitation levels, and the abundance of dangerous species such as mosquitos, ticks, and bark beetles. Although the Earth’s temperatures are steadily rising, Canada is warming at almost twice the rate. 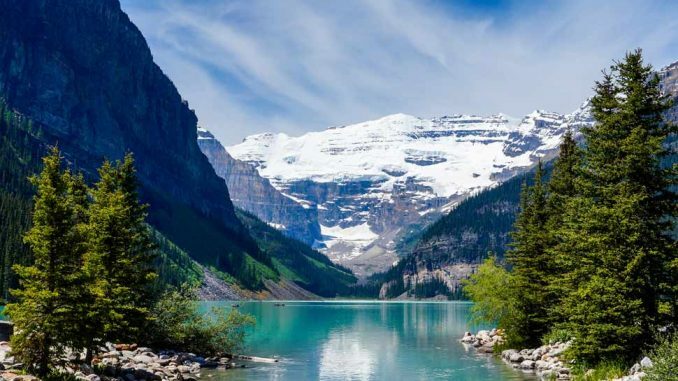 Canada is 9,984,670 square km (6,190,495 square miles) and is the second-largest country in the world, after Russia. However, nearly 80 percent of Canada is uninhabitable. The “Canada Guide” explains the northern part of the nation is covered in snow and ice and unfit for sustaining human life. This large mass of white snow and ice is also doing its part in the warming of Canada at a rapid rate by reflecting warmth and the sun’s radiation. Similar to what is happening in the Arctic, this reflection of heat and sunlight is melting glaciers and causing a warming loop in the oceans, accelerating the temperature faster than the rest of the world. The rising temperature of Canada is also largely due in part to the nation’s excess amount of burning fossil fuels. According to the 2015 World Bank collection of development indicators, Canada burns approximately 73 percent of its own total fossil fuels. Fossil fuels consist of coal, oil, petroleum, and natural gas; they are mostly used for powering cars, buildings, factories, and power plants. Since the Great Recession had a major impact on Canadian industries, Canada has been working incredibly hard to regain its economic power and get all of their industries, especially their automotive industry, on the same level as Japan and the United States. With this desire to grow the nation’s industries, an overwhelming level of fossil fuels are being used to power Canada. To reduce the carbon footprint and stop the accelerated heating of Canada, Prime Minister Justin Trudeau has issued a carbon tax in hopes of limiting the consumption of coal in fossil fuel-powered industrial plants. The nation has also pledged to do their part and cut greenhouse gas emissions by 200 million tons by the year 2030, hopefully being reached with the help of Trudeau’s carbon tax. If Canada is unable to limit its use of fossil fuels, the country will face a much higher temperature than the rest of the world, aside from the Arctic. The country will also likely suffer from natural disasters including floods, droughts, as well as exposure to contaminated water from the melting ice. If Canada is able to reduce their use of fossil fuels, the nation’s temperature will rise at a much slower rate and have less of an environmental impact from the climate change.